Question: Can there be another "CD Baby"? 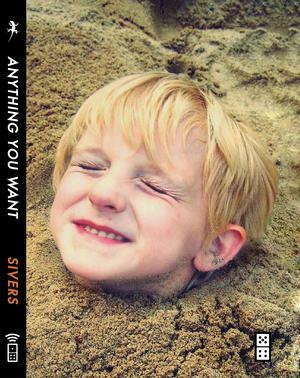 I recently finished reading Derek Sivers’ newest book “Anything You Want” (which is awesome, by the way, and you should totally buy it). For those of you who don’t know, Derek Sivers is the man who brought the world CD Baby and revolutionised the way music was distributed - through CD Baby, independent musicians were enabled to sell their music online without the assistance of a major label. Sivers’ book shares words of wisdom in good business sense and practice, and how CD Baby was born and became so successful. The simple version of this is that (although he attributes it to a chance discovery), he simply found a solution to a problem that was helpful to so many musicians. Could there be a more perfect success story? “Stumbling” across the solution to a problem that could benefit so many musicians and making millions from it? Although Sivers himself insists it was never financially-driven, there’s no denying the genius, and I’m sure he’s not complaining about being a multi-millionaire now. Since CD Baby started, there have been so many other distribution businesses using a similar model spring up. We now have a wide selection of options to distribute our music as independent musicians. Subsequently, other distribution models such as BandCamp’s “pay what you want” have come along, again changing how music is distributed. We no longer have an issue of “how can I distribute my music?”. It’s now “what’s the best way?”. We also have a plethora of social networks offering us amazing resources to network, engage and share our music. We have many business offering us templates to build our own band websites. We have tools galore that connect all our online resources together to make our lives easier for updating and sharing. We have resources to claim royalties on our behalf from venues, websites that bring gig submission opportunities to us, businesses that specialise in finding indie music to sync with TV and film opportunities. It seems like almost every foreseeable problem a musician has in being a self-sufficient business has been solved by one solution or another. We’re just unfortunate enough to need to choose between our options. Are we now, as musicians, so empowered to be independent that there are no more problems to solve with CD Baby-esque solutions? Has the independent music scene’s innovative improvement-movement now plateaued? Have the opportunities for more CD Baby ventures all but passed? Or conversely, are we currently in a state of transition - solving problems but making more and missing the point? Are we actually in a worse position now because of all our available options? Do we need another Derek Sivers to change the way things are done, and is there something burning out there that needs fixed? Rich Gordon blogs at RG Musician. Hi Rich, everything you say about the tools we have today to independent musicians are great ... for some. In my case, in Argentina (and throughout South America) are almost nonexistent so many options when choosing .... the crowfunding or the sites devoted to finance projects that do not accept non U.S. citizens. Then? Say this is still quite green ... we can do? open a franchise of CDBaby or Kickstarter for us? Derek Sivers is a genius! One thing that is worth mentioning is the difference on how people view music. Consumers dont value music like they did in the 90's when CDbaby started why? Because there is a generation of music consumers who have gotten it for free their whole lives. New music business models have to be about the creation of great art with the understanding that the money is made off of the spin off's (like performances, Tshirts, ads, film/TV , video games) not the cd or download sales. I enjoyed this article and it struck a chord with me. A few years ago I started to use song pitching websites to get my songs heard by the music industry. There were quite a few pitching sites out there but I found many of the services didn't give me what I needed and they were way too expensive. My "musician solution" is probably typical of a lot of the tools out there on the web today. Many are improvements on older models but are not new ideas. Derek invented a new model in many ways and that is much more difficult. Being the first with an idea, (or one of the first) takes much more risk and belief. CD Baby was indeed a great idea and I have a lot of respect for Derek. He has been kind enough to advise me on Audio Rokit and he's a great example of what can be achieved if you have the right idea at the right time. This Blog asks if the new 'solutions' for musicians have dried up? I don't think so. There is still room for many more 'Derek Sivers' type breakthrough ideas. In fact Derek has started another business called MuckWork: http://muckwork.com/ aimed at outsources the boring jobs that musicians have to do. I am sure that in 10 years time we'll look back and wonder how we managed with the tools we have today. It is so true that musicians have a plethora of tools on the web today. That is a very good thing. What should happen (in economic terms) is that the quality of the services being offered will increase and prices should drop due to pressures of competition. Hopefully the ultimate winners will be the musicians. PS. I did try and leave a comment on your personal Blog but couldn't seem to get signed up. Derek Sivers did NOT revolutionize the way music is sold online. His company was just one of the few that were around back in the day, and Awarestore (now defunct) was bigger than CD Baby. If you want to talk about revolutionizing the industry, that would be CD Now. CD Baby only survived because before digital, they would take any Joe Schmo's music (and money) for their site. July 26 | Ted N.
"Who would want a Computer in their Home ?" Everything can be Topped ! CD Baby only survived because before digital, they would take any Joe Schmo's music (and money) for their site. Well, that's just the thing, isn't it? Instead of treating unsigned musicians like unwashed pariahs, Derek's company gave them an opportunity to sell CDs directly to customers. That's part of what made CD Baby stand out from the pack: you didn't need to be a top seller or annointed by a label. They didn't go public, and they didn't take investor money, so they didn't have the same exposure to risk that CDNow had. I never used CDNow, so I don't know if they ever catered to unsigned artists. I will say that they did pioneer quite a few awesome things in online retail, which is probably why Amazon eventually bought them. I'm puzzled by the demise of AwareStore though. I'd have thought that there'd still be a great market for earnest singer-songwriter guys. "Are we now, as musicians, so empowered to be independent that there are no more problems to solve with CD Baby-esque solutions?" Far from it. I'd say there are quite a lot of problems to solve for independent musicians. First and foremost: how to manage your time on social media so that you can efficiently communicate with your fans and spread your music. Also, how to get radio stations to play your music and how to get your music licensed and played on tv and in films. Those are just a few huge hurdles for independent musicians. Though there are many ways for Indie and DIY artists to market themselves and get some attention through social sites, and other avenues, we still lack a unified voice when it comes to many of the issues that confront us. The major labels, both directly and through the RIAA, lobby on their behalf, (and hopefully, that of their artists) to many organizations, like Congress, ASCAP, BMI, iTunes, amazon.com, Rhapsody, and streaming sites like Spotify. What seems to be lacking is an independent, non-profit, artist run and owned organization that would lobby on behalf of Indie artists. Right now we are all working alone, even though some of our goals may be the same. For example, if many artists are having problems with DMCA take-down notices, they now have to deal with these on their own. If we want Congress to address certain piracy issues we lack a unified voice, and the funds to get their attention. If we want a seat at the negotiating table regarding payment rates or copyright laws we don’t have the access. Derek Sivers showed that you can get rich in the Indie music industry. (BTW, he didn’t walk away with $22 million, only $1,100,000 pretax, per year, for life...) Since he founded CD Baby, there are now a plethora of new companies and entrepreneurs ready to take our dollars, promising us all sort of dreams, stoking the fantasy of every wanna be rock star. But none of them can give us a voice. None of them take the aggregate power, inherent in our numbers, and use it to promote the cause of independent musicians. Ay. Well, I'm not sure. I've met Derek and he's a great guy. I'm not sure if even he would call himself a genius, but he's a very kind person who did the right thing, and made a business successful by building it from the ground up and as has been said by people before, treating independent artists as human beings and allowing anyone to sell their CD on the site. Part of the problem, as has also been stated earlier, is that there is indeed, an entire generation of people now who have always gotten music for free. There are some interesting things that have happened in the past couple years. I didn't predict vinyl making such a huge comeback, I didn't know that would happen. I would like more insight about making merch more affordable as it seems to be one of the few things that sells still. I could go on for days.. but... anyone else? "Are we now, as musicians, so empowered to be independent that there are no more problems to solve with CD Baby-esque solutions? " In my experience, most artists want to create art - not run a business. Web startup people (such as myself) have been involved in building tools to help with the recording process, retail, distribution, funding and marketing etc, etc. But the people who use these tools still need to understand how to run a business, and to succeed they should probably enjoy the business side of their art too. In my mind, there's an opportunity right there: Educate, and connect the talent necessary to create a successful 360 music team. Because you know, giving a man a hammer does't make him a carpenter. I think there are many great online services right now. The biggest problem is the defragmentation of all the things you can use. Everything is interspersed over different websites on the internet. It's also not easy to find out which services work for you. That's the big issue if you try to focus on time management and getting things done. I started Musedash to counter this problem. It tries to bring together the most important services under one dashboard. But we need to implement more music-specific services, such as Soundcloud, Bandcamp, Tunecore. And we are even further away from really evaluating all these services and making the right choices. I think that CD Baby (& I like CD Baby & I've corresponded with Sivers a few times over the years & I'm a fan & he even used one of the tracks on my label as the soundtrack thing for his new book) is partly responsible for the decline of quality in the music industry as far as the explosion of bands & the lack of labels as a quality filter. Some would argue this is a good thing & some a bad thing, but it's definitely a thing. There are still a million problems in the music industry, but I think that part of why CD Baby really did work is it seemed to raise less false hopes than its competitors. If we can find more people acting honestly & trying to help the music industry as a whole rather than help themselves, that would be the way for another positive industry changer to happen. Surely, the buyer acts as the filter of quality? Nobody is forced to listen to any type of music and everyone has the freedom of choice. Therefore, the more choice of music out there the better. Don't like it? Don't listen to it.